Denny Jump (Bellevue, WA, United States) on 21 May 2017 in People & Portrait. 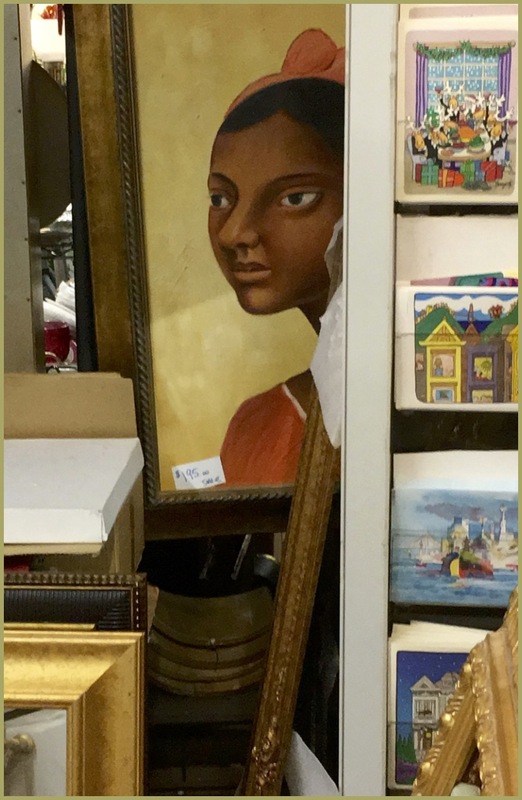 While wandering through a street fair with our son and his family in a Vallejo, California, I turned my head just in time to see this painting of a lady pensively looking out. The portrait struck me. I would love to hear your impressions.The sight made me think of the famous Isley brothers song "Who's That Lady." An attention grabbing image. She has a certain mystery about her. @Steve Rice: Hi Steve! Thank you ;-) Just got home last night....waved at you ad we passed through (both directions LOL) now tryingbto get things rolling again. Thanks so much for checking in... I owe you some visits...,ps- I felt the same way about thus lady! Amazing and mysterious! A nice find and I like the composition too. She feels almost real.